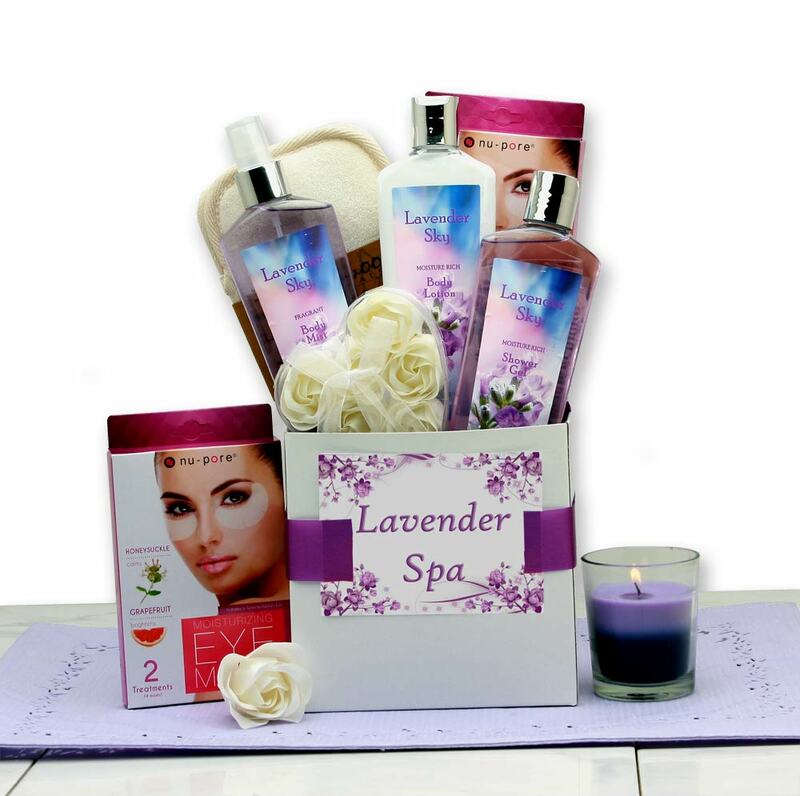 A complete spa gift set in a box. Soothe and diffuse stress with a luxurious at-home spa treatment! A white gift box with your personalized message arrives with everything she needs to have a relaxing and pampering day. All of our bath products are created with nourishing ingredients including Shea Butter and Vitamin E to give you incredibly soft and moisturized skin, truly a treat for your senses and skin. All of our gifts are hand crafted, hand packed and finished with hand tied bow for a truly one of a kind experience.